Since it was first published in 1972, Learning from Las Vegas has become a classic in the theory of architecture, and one of the most influential architectural texts of the twentieth century. The treatise by Robert Venturi, Denise Scott Brown, and Steven Izenour enjoys a reputation as a signal work of postmodernism in architecture and urban planning. However, despite of the book’s prestige, none of the editions have ever featured high-quality color images of the field research Venturi, Brown, and Izenour conducted in Las Vegas and used to illustrate their argument. Las Vegas Studio presents for the first time these significant photographs in large color reproductions. The numerous pictures and films the architects shot during their research in 1968 are a crucial aspect of their architectural study, which relies heavily on these images as the foundation of their ideas. The original slides of these pictures are held by Philadelphia architecture firm Venturi, Scott Brown, & Associates, which has only now opened its archive. Las Vegas Studio assembles a large selection of these iconic images and film stills, alongside essays that explore how the pictures contemplate the phenomenon of the modern city—forge the link to architectural practice of the decades since. 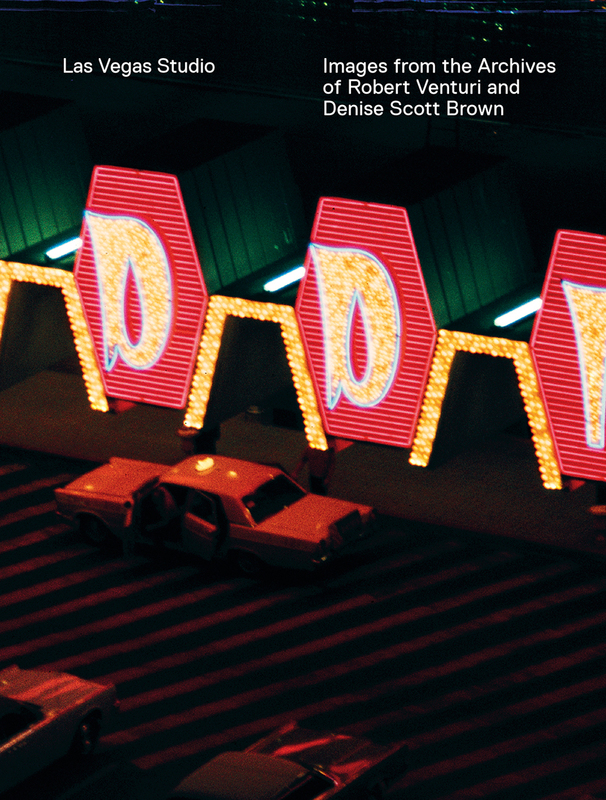 Essays, including a discussion with celebrated Swiss artist Peter Fischli and highly renowned Dutch architect Rem Koolhaas on the strong and lasting influence Venturi and Scott Brown’s images still have on contemporary art and movies, complement the pictures. A unique opportunity to experience the full intent and import of the Learning from Las Vegas project, Las Vegas Studio will be welcomed by architects, architectural historians, and scholars. "Technicolor and definitively 1960s, the photos — mostly documentary, some seemingly random or incidental — portray architects Venturi, Scott Brown and Steven Izenour (the book’s third author who died in 2001) in the field with the Yale students and at leisure. There are also shots of a Las Vegas that is no longer here. The result comes across as a private scrapbook or intimate photo album, a fond memento of the experience and of the time."